Warner Home Video sent me a copy of the Sinatra miniseries DVD to review on The Frank Truth. It may be a week or so before I can properly prepare the episode, so in the meantime if you've already seen the picture, please call in with your comments to +1-312-235-2139, or send your review to noebie@gmail.com by email. I'd love to include your impressions in the show. I watched this many years ago on television. What strikes me watching it again now is how much it seems to have shaped many of my ideas about Frank Sinatra. 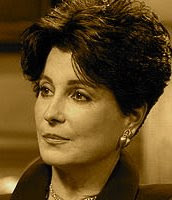 The movie was personally approved by Frank Sinatra - and his daughter Tina was the Executive Producer. It won a Golden Globe Award as "Best Made For TV Movie" in its year of release. Until the next episode is available, please feel free to browse our archives at the lower right of this site. At 3 O'Clock this afternoon I'll be observing The National Moment of Remembrance. 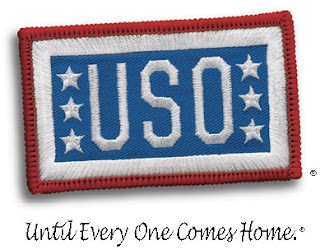 As we enjoy our freedoms today let's also recall the meaning behind this holiday, and take some time to honor our fallen in a moment of national unity. Every now and then I like to browse at antique malls and resale shops, and the record albums are always of particular interest. Though my collection of Sinatra on vinyl isn't extensive, I have picked up some rare gems over the years. My wife bought me a really nice Crosley phonograph player a few years back that will spin 78s, so I especially love to find those. For those of you who weren't around during the heyday of vinyl records (and even for some of you who were) it may be surprising to learn that the phrase "record album" was originally much less symbolic than it now seems. In the early days, they were literally collections of several 78 RPM records packaged together in something that looks like a photo album. There were sleeves inside the album to hold perhaps 4 or 5 records which each contained one song per side. 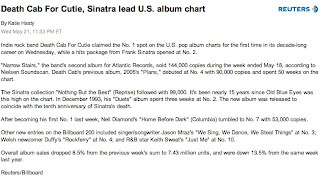 It's often been said that Sinatra invented the "concept album" and obviously the titles and album covers were a compelling contribution to each concept, setting the stage for presentation of the music. Even in our age of music downloads we still have a desire for (albeit virtual) album art, so it seems almost unimaginable that until the late 1930s recordings were sold in undecorated packaging. 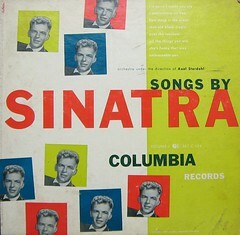 Album art was the creation of Columbia Records and their first Art Director, Alex Steinweiss. The image above is the cover of an early (read that "non-concept") Sinatra album - 1947's Songs By Sinatra, Volume I - from my own collection. When you click on the image, it takes you to a page about the album (with an alternative, perhaps earlier, cover) from John Brown's excellent site of Sinatra album cover art. John is, by the way, the artist who created The Frank Truth album art for our MP3 files and this Website. My phonograph gets sparse use these days since so much of the music from all those years ago is available in digital form (which is hard to beat for convenience if not quality). Still, I can't imagine a home without a record player. There was, though, a short period in my adult life when I was without a working phonograph. My sons were little at the time. When I finally bought a new turntable, I brought stacks and stacks of albums out to play. The boys noticed them and asked what all of those books were. I said that they weren't books, they were record albums. Pulling one from its sleeve, I explained. "You put this on a thing that spins around and set this arm on it that has a little needle on the end and it makes music." They were wide eyed and incredulous. "You're kidding, right?" Welcome to the many new visitors who are finding us this week. This site was created primarily as a companion to The Frank Truth Podcast, but I do try to keep it up to date with news, links of interest and the occasional essay. I suppose it has gradually become a Sinatra Website on its own merits. Please do check back often, as there are updates every few days. Feedback on the program, and on this site, is always welcome. 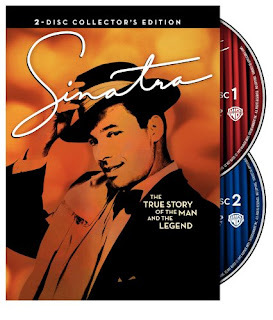 If you're looking for ideas on where to start with music and movies for your own Sinatra collection, you might want to check out our Amazon Shop, with the latest releases for this month's commemoration. Thanks for visiting, and Cent' Anni! 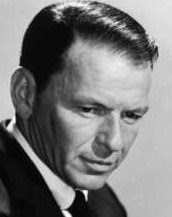 Ten years ago this evening Frank Sinatra passed from this life at Cedars-Sinai Medical Center in Los Angeles after a heart attack. He was 82. His last words were "I'm losing." During the decade since his departure, his legend has continued to grow, as has the appreciation of his art by a legion of new listeners. As I contemplate Frank Sinatra on this solemn day, I find myself feeling marvelously blessed to have grown up at a time when his music and films were still ubiquitous, and to have eventually found my way back to them. This may sound odd (and it is terribly personal) but I believe that Sinatra taught me how to be a man. At the very least, his songs came back into my life at a time of changes that were difficult to understand, and except for the lens of his music, I'm not sure that I would have ever made sense of things. Throughout my 30s and 40s his music and his life continued to inspire and to guide me in a quest for meaning and purpose. Now in my 50s, his more mature recordings speak to me as little else can, and I realize that Sinatra has done something extraordinary. He has managed to reflect my life and to profoundly influence it - all without us having ever met. Such is the universality of his art. 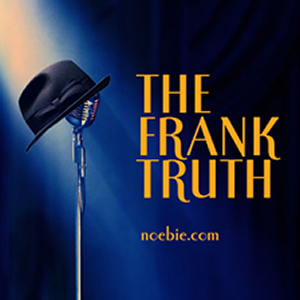 In one of the reminiscences shared with us for the most recent episode of The Frank Truth, Phyllis (who has been a fan of Sinatra since her days in bobby socks) said that in the early years when Sinatra sang every girl felt that he was singing directly to her. It turns out that this is still the magic of Sinatra. Even ten years now after his death, when we hear him sing, he is singing directly to each of us. He sings our lives. I suppose that there may be other singers who have achieved such intimacy with the listener, but no one else has done it so consistently, for so many, for so long. The song is you, Frank. Here are the highlights for Siriusly Sinatra channel 75 for next Wednesday. I'll be splitting my listening time between these shows and my friend Steve Bauer's all day tribute. 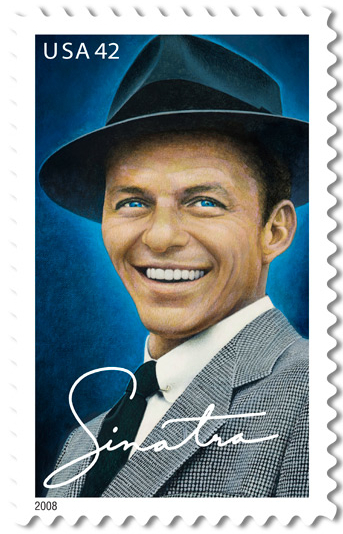 To celebrate the issue of the new Frank Sinatra postage stamp, Siriusly Sinatra will honor Frank’s life and legacy with a full day of his greatest music and special shows featuring his daughter Nancy, his granddaughter AJ and his son, Frank Sinatra Jr. Also, listen for the Sinatra at the Sands recording from 1966 at 8 pm ET and a special program highlighting the new CD compilation, Nothing But The Best. 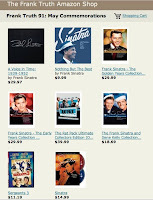 There's a new CD of Frank’s music called Nothing But The Best and to celebrate its release, Siriusly Sinatra presents a 90-minute special with songs from the collection along with behind-the-scenes stories from the producers, musicians and others who worked on these recordings and the special versions that appear on the new disc. Rebroadcast: Weds 5/14 6:00 pm ET. Join Frank Sinatra, Jr. as he sings some of his father's great songs and offers his personal reminiscences, as Siriusly Sinatra presents As I Remember It. Sinatra at the Sands was one of Frank's greatest performances. Accompanied by Quincy Jones conducting the Count Basie Orchestra, it included some of the greatest songs and arrangements of Frank's career and resulted in a landmark live album. Return to the early weeks of 1966 and hear this classic album in its entirety. Each year as May 14th approaches I face the dilemma of how to respectfully observe, on this program, the anniversary of Frank Sinatra's passing. 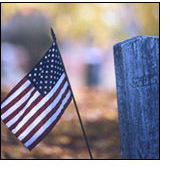 In 2005, listeners received 3 minutes and 43 seconds of silence. In 2006, since the program was broadcast nationally on Sirius at that time and silence wouldn't have been appropriate, I prepared a selection of Sinatra recordings along with my own clumsy and inadequate remarks. Last year, I simply observed the date personally and didn't release an episode of The Frank Truth for the occasion. As the tenth anniversary of Sinatra's death approaches, I can think of no more fitting tribute than to share what is in the hearts of his fans all over the world. I need your help. Please call our comment line at +1-312-235-2139 by this Friday, May 9th, with your own tribute to Frank Sinatra. It can be something as simple as naming your favorite Sinatra song, telling how you came to know his music, relating what he has meant to you or describing what you plan to do in observance on the 14th. I'd like to hear from as many listeners as possible, and plan to include everyone's comments, unedited, on the next episode. If for some reason you'd prefer not to call in, you're also welcome to record an MP3 of your comments and email that to me. FrankFeedback@gmail.com is the address. I'm not certain that I'll be able to release the show prior to the 14th, but I'll definitely get it out to you some time next week. Thanks, in advance, for your participation. This week, Frank Sinatra was inducted into the New Jersey Hall of Fame along with 14 others from the worlds of arts, entertainment, sports, history and enterprise. The historic inaugural red carpet gala induction ceremony for the first class of the Hall of Fame was held on Sunday, May 4th at the New Jersey Performing Arts Center. It's been well over a year since we first mentioned the Hall on The Frank Truth on Episodes 61, 62 and 66. Thanks to all of our listeners and readers who took the time to vote! 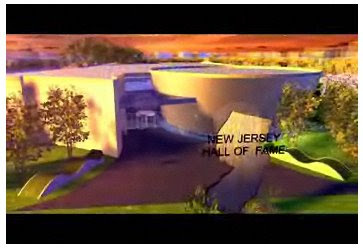 More information is available at http://www.njhalloffame.com on the Web. MovieWeb.COM has an interview with Tina Sinatra about (among other things) the DVD releases set for this month. Great news that Frank Sinatra Enterprises is nearly ready to announce a theatrical motion picture! You can hear more about the DVDs on Episode 91, and purchase them through the May Commemorations Amazon page. Episode 95: More About May and Swing from Danny D! This week on The Frank Truth Sinatra Podcast we talk about some activities planned for the eve of the 10th anniversary of Frank Sinatra's passing, and we listen to some great Big Band music from Danny D'Imperio. This special offers described in this episode are no longer valid.